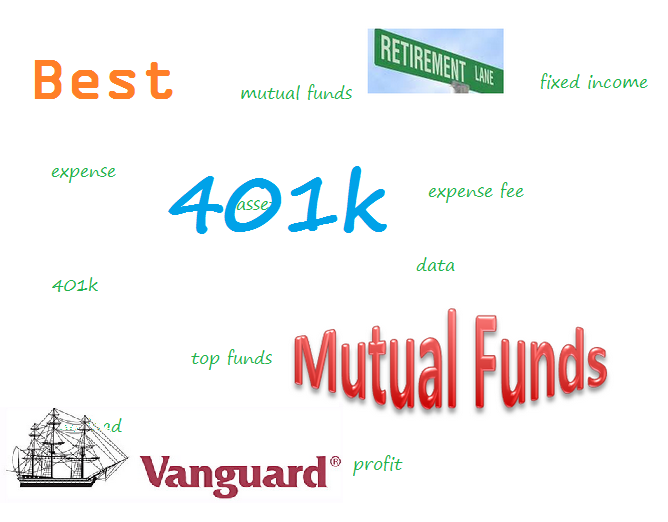 Most Vanguard retirement plan products are index funds. The funds are passively managed and tracking its indices such as S&P 500 index, bond index, etc. Vanguard also provides many actively managed funds; you can find some the best active mutual funds in this list as well. Like all Vanguard funds, these actively managed funds carry extraordinarily low expense ratios. Low fees aside, we wondered how good these funds really are, so we analyzed them. This Vanguard PrimeCap Fund invests in stocks considered to have above-average earnings growth potential. It invests mainly in large- and mid-capitalization stocks. This no load fund has an expense fee of 0.44%. The fund is currently closed to new investors. Please check with your 401k account whether you can invest in this top Vanguard fund. Its expense fee is 0.44%. This Vanguard fund has $43 billion of assets. Morningstar has 5 stars rating. This stock fund has returned -0.80% over the past year, 17.86 percent over the past three years, 15.49 percent over the past five years, and 9.20 percent over the past decade. As of September 2015, the top 3 stocks in its portfolio are Biogen Inc, Eli Lilly and Co, and Amgen Inc. Top 3 sectors are healthcare, technology, and industrials. This Vanguard Balanced Index Fund is classified as a moderate allocation mutual fund. This Vanguard fund maintains a standard 60/40 split allocation to stocks and bonds, respectively. The fund managers are Joshua Barrickman, Christine Franquin and Paul Malloy since 2013. As one of the best Vanguard fund for 401k, it has a yield of 1.88%. This Vanguard Total International Stock Index Fund has a yield of 2.90%. 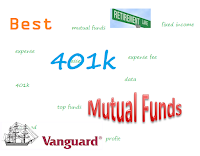 It is one of most popular Vanguard funds for retirement account. It has assets of $177 billion. Its expense fee is 0.22%. This Vanguard fund provides broad exposure to international equities, including both emerging and developed markets as well as some small-cap stocks. This international stock fund is managed by Michael Perre since 2008. The fund has returned -15.42 percent over the past year, 4.53 percent over the past three years, 3.18 percent over the past five years, and 3.26 percent over the past decade. This Vanguard Total Bond Market Index Fund utilizes its assets to purchase higher quality investment-grade bonds, both corporate and government. Its expense fee is 0.20%. Total assets are $144 billion. The yield is 2.35%. Morningstar has ranked this fixed income fund with silver rating. As one of the Vanguard’s best 401k funds, it has a 3 year average return of 1.41%.